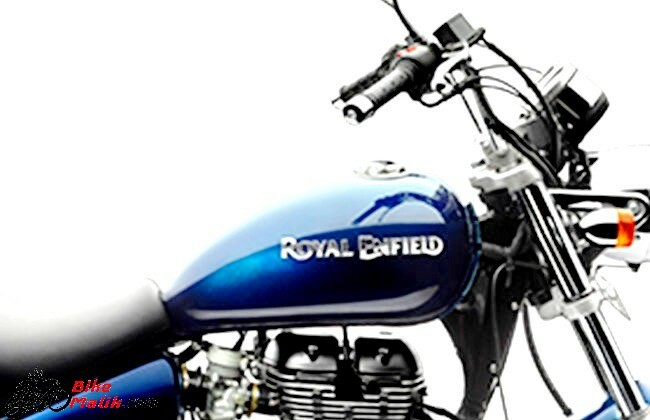 Royal Enfield is the well-known brand which was deeply rooted in the minds of the retro motorcycle enthusiasts. Being a vintage-themed bike manufacturer, Royal Enfield again tweaked us with Thunderbird 350 a retro style cruiser which was placed below the Thunderbird 500. 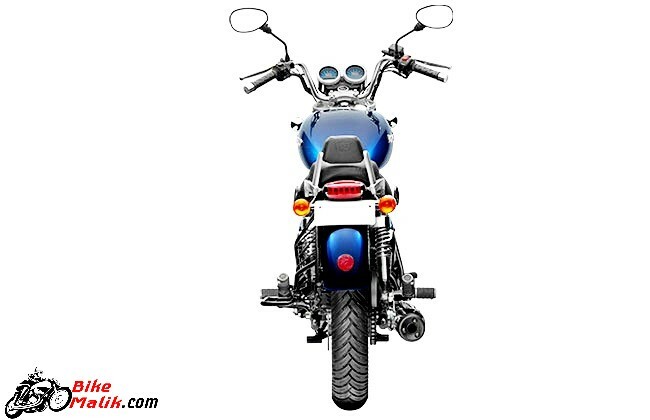 The powertrain spec is an only differentiation between the Thunderbird 500 & 350. 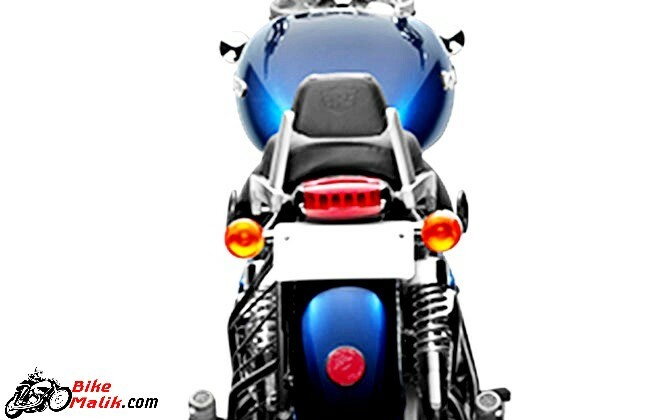 So, let’s see what makes the Thunderbird 350 a unique cruiser among the Thunder 500 & other 350 cc commuters. 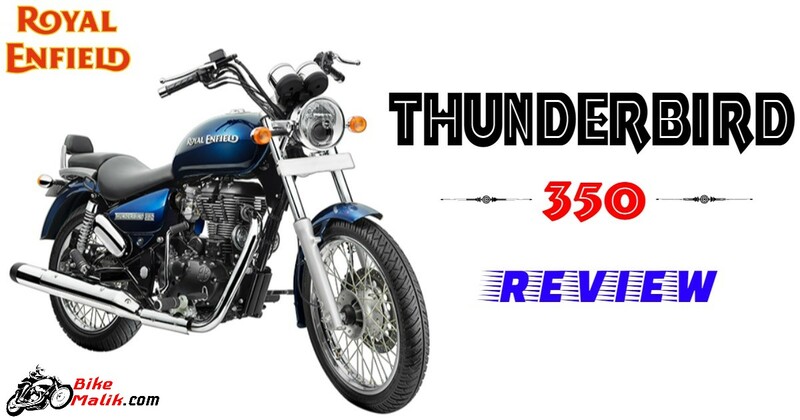 Thunderbird 350 draws power from a 346cc, single cylinder, 4-stroke, twin spark, air-cooled engine that produces 19.8bhp of enormous power @ 5250 rpm with a peak torque figure of 28 Nm @ 4000 rpm. While the 5-speed constant mesh gearbox with a wet multi-plate clutch works efficiently to produce the desired output from the transmission end. All the ample power from the 346cc engine pulls the bike forward with flashy speed, where the naked riders adore for. 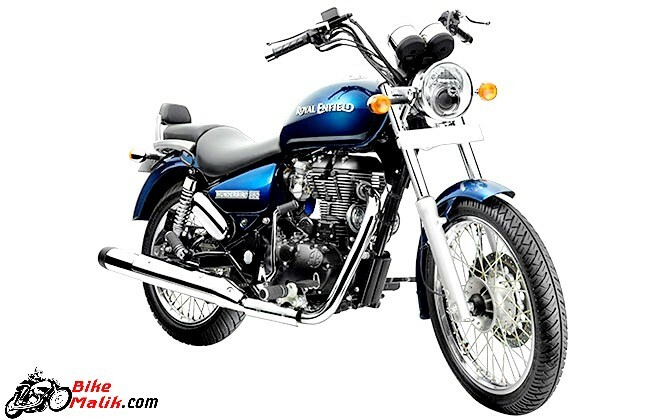 With the above-said hardware, Thunderbird 350 easily hits the high speed of 130 km/h. Though it is a speedy cruiser it impresses us to the most with its efficient fuel figure of 53.4 km/l. The fuel figure is the most talkative aspect of the bike. 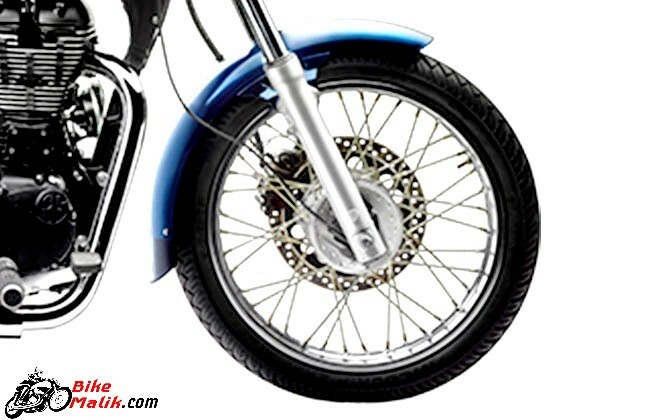 The bike compression ratio is another power factor that helps the cruiser to ride in top speeds. As of this, it gets 8.5:1 compression ratio with a power-oriented bore x stroke ratio of 70 mm x 90 mm. 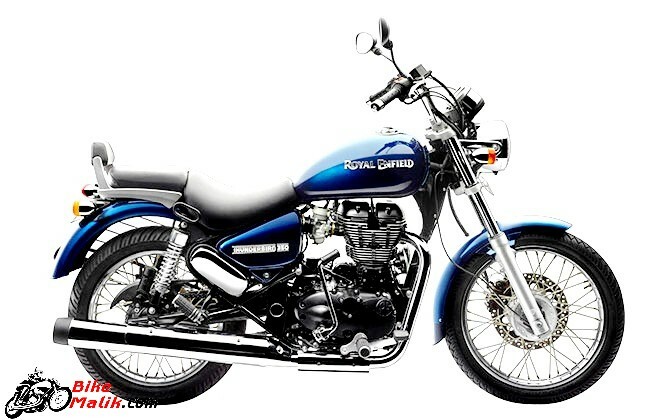 Royal Enfield is the best retro motorcycle manufacturer that satisfy the craving young studs in the country. 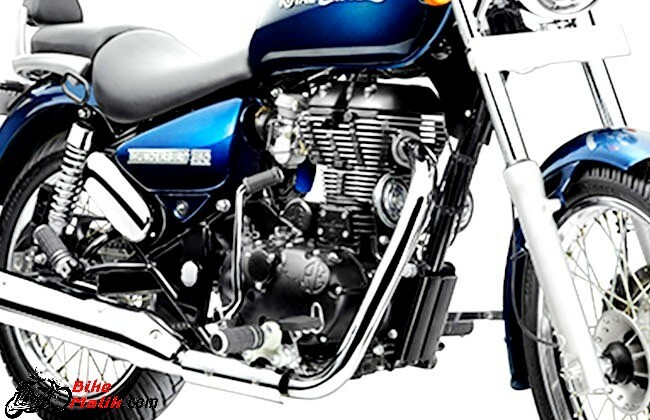 Thunderbird is the one such model that fulfills the cruiser enthusiasts to the extent with all the elegant design dynamics. 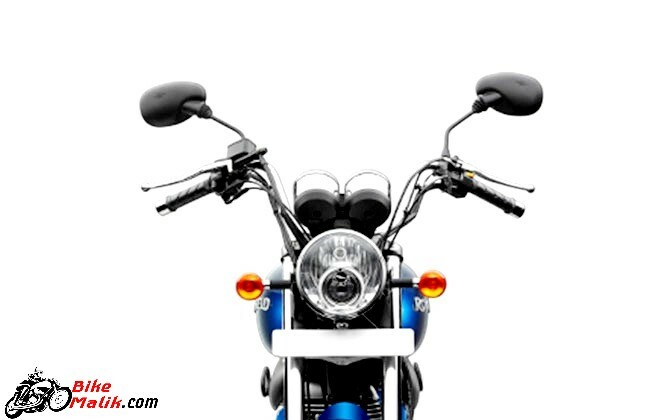 As of this, the front profile gets a round shaped headlight with a projector lamp unit along with bullet-shaped turn indicators housed on a light guide. While the sturdy teardrop shaped fuel tank with good color finish elevates the pleasant & trendy look of the bike. 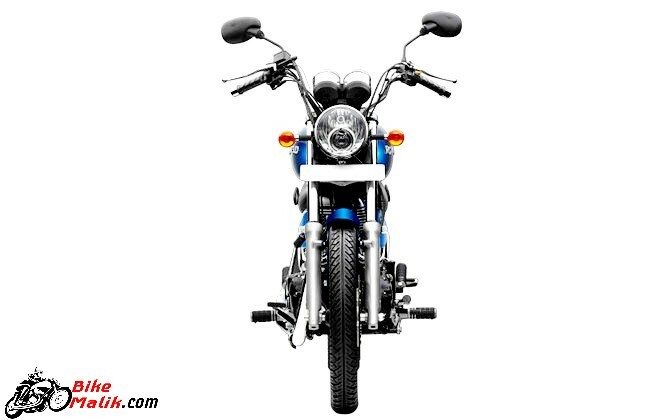 As of the rear, the bike boasts a superb LED tail light with rear indicators which was positioned on the rear fender. The light reflector and a number plate housed on the rear fender adds the premium & prominent look for the bike. The nicely cushioned double saddle seat with a pillion backrest provides ample comfort to both the rider & pillion. The 2060 mm length, 790 mm width, and 1205 mm in height along with 1350 mm of wheelbase are the measurements of the bike. The 192 kg of kerb weight stables the bike and also improve the handling capability of the bike. While the 140mm ground clearance gives good control over the bike under all conditions. The raised handlebar and set foot controls at the rider end give ample comfort to the biker, to ride the bike without any flaws. The bike compliance an instrument console that displays digital and analog gauges which were easily understandable, a fuel level indicator, dual trip meter etc. The driving dynamics of the Royal Enfield Thunderbird 350 is possible with grippy tyres, reliable braking setup, and rigid suspension unit. As of the tyres, the front gets a 90/90 – 19, 52P while the rear gets a 120/80 – 18, 62P rear tyres ensure fruitful rides. While the 280mm disc brake with 2-piston caliper at the front and 240mm disc brake with single piston caliper at the rear works accordingly to give all the stoppable power to the rider by braking action. The suspension duties are carried by a 41mm telescopic forks, 130mm travel at the front and Twin gas charged shock absorbers with 5-step adjustable preload, 80mm travel at the rear ensures safe rides to the rider & pillion. Safety as a primary concern, Royal Enfield incorporated top-class safety specs that secure the rides to the utmost. As of this, the projector headlamp with H7 55 / 55 W gives visible view under dark conditions. So as reduce the prone to accidents, the bike gets a hazard function which in turn makes the side indicators to blink simultaneously, in order to make the bike visible on dark highways. Overall the driving ergonomics of the bike is simply decent, which is manageable & also controllable by the rider whether he is in a city or highway, traffic or no traffic. 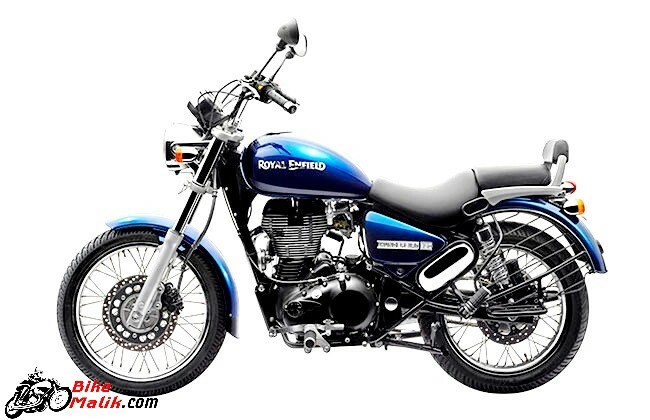 The Royal Enfield Thunderbird 350 is available in the market at a price tag of INR 1,65,994 (ex-showroom, Delhi). The Thunderbird 350 is also one of the most incomparable models that suit very well for the young generation who cares & dares for the naked riding. The riding dynamics, retro-design & powerful execution makes the cruiser a standout model in the segment. So buy for sure! It’s a big deal to brag about this affordable cruiser.